An oldie but still a goodie! 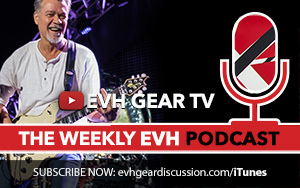 Very shortly after I became and EVH Gear Endorsed Artist I shot this video to show what both the 5150III head could do, and go over all its features. Also, was able to conduct the demo with a nice Japanese Wolfgang Special. These guitars are really nice!